In 1977, NASA launched two robotic probes, Voyager 1 and Voyager 2, into space to study the outer solar system. Passing beyond our sun’s planetary system, the Voyagers continue their journeys into interstellar space, traveling further than anything in human history. 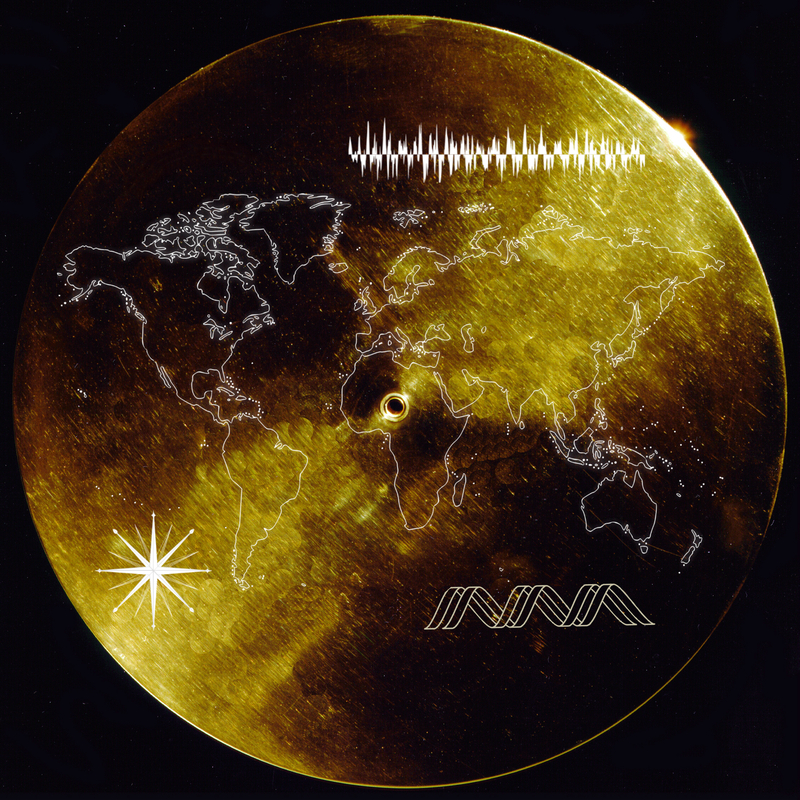 Onboard each probe is a golden phonograph record containing sounds and images selected to portray the diversity of life and culture on Earth, intended for any intelligent extraterrestrial life form who may find them. The contents of the record include 115 images and various natural sounds, including the songs of birds and whales, as well as musical selections from different cultures and eras, and spoken greetings in 55 ancient and modern languages. The sending of these traces of human culture and diversity as a message to some advanced space-faring civilisation in interstellar space said “something very hopeful about life on this planet” according to Carl Sagan, who chaired the committee that chose the record’s contents. In 2016, as I looked through my screen at Trump’s calls to “build a wall” to prevent Mexicans immigrating into the USA, at migrants left to drown in the Mediterranean, at the descriptions of these people as “swarms” or “snakes”, at the disturbing attitudes expressed towards people from different places and of varied skin pigmentations during Trump’s campaign and some of the darker aspects of the Brexit campaign, I wondered what sort of message we would send now to other civilisations. And what sort of message we need to send to ourselves about diversity and human culture. In developing a new project with artist group Mission Misplaced Memory (Zaynab Bunsie, Trevor Mathison, Gary Stewart) to address some of the issues around race, migration and culture swirling around in 2017, with Trump’s clampdown on migration to the USA and Europe’s “migrant crisis”, we hit on the notion of developing our own “golden record” to collect new evidence, sounds and traces of human culture, diversity and migration today. 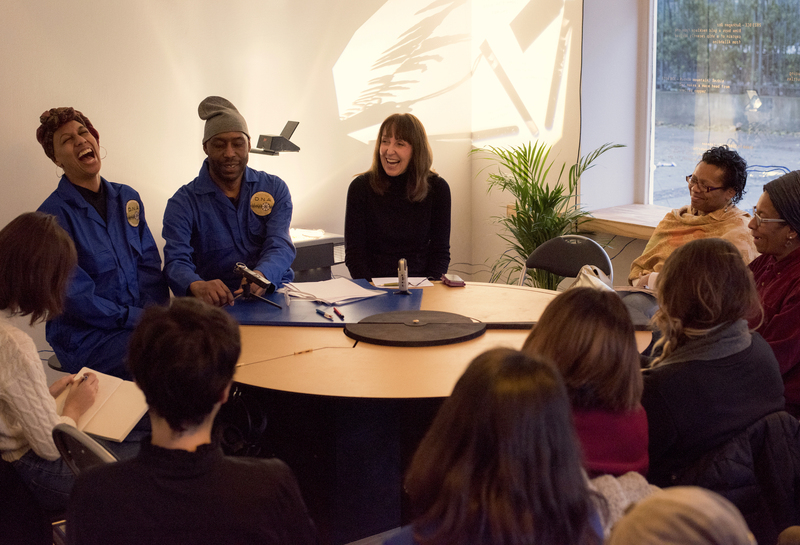 The idea chimed with the group’s Afrofuturist philosophy of turning the lens of space travel back onto our own planet. The project we hatched was called Dreamed Native Ancestry (DNA). Trevor Mathison in the engine room (Mission Misplaced Memory). 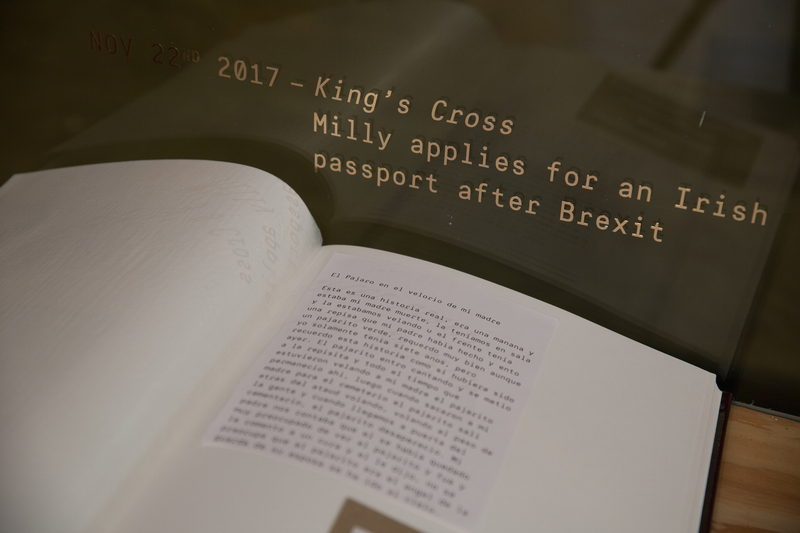 London – King’s Cross – 2017 was identified as one key centre of migration and culture in human history, and the crew landed their Mission Ship at the Arts Catalyst Centre in November 2017 to January 2018. 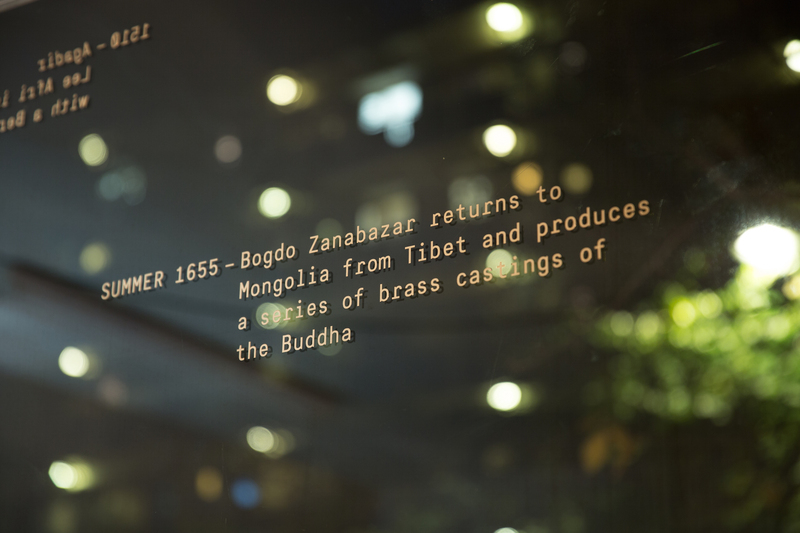 Here, we invited visitors on board to join discussions, retrieve their own memories of ancestry and migration, and contribute to a physical and sonic data bank of stories and memories. 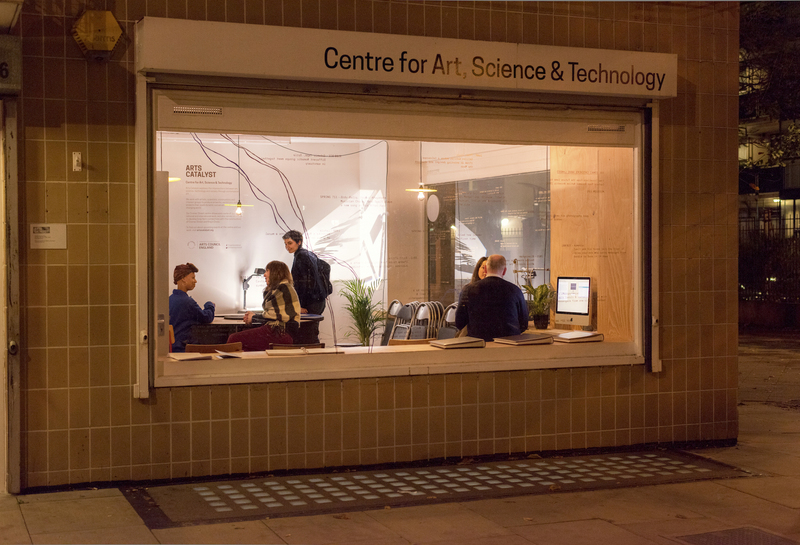 Dreamed Native Ancestry (DNA) involved an 8-week residency by the artists within an interactive participatory installation, at the centre of which was the data bank in the form of a circular golden table. 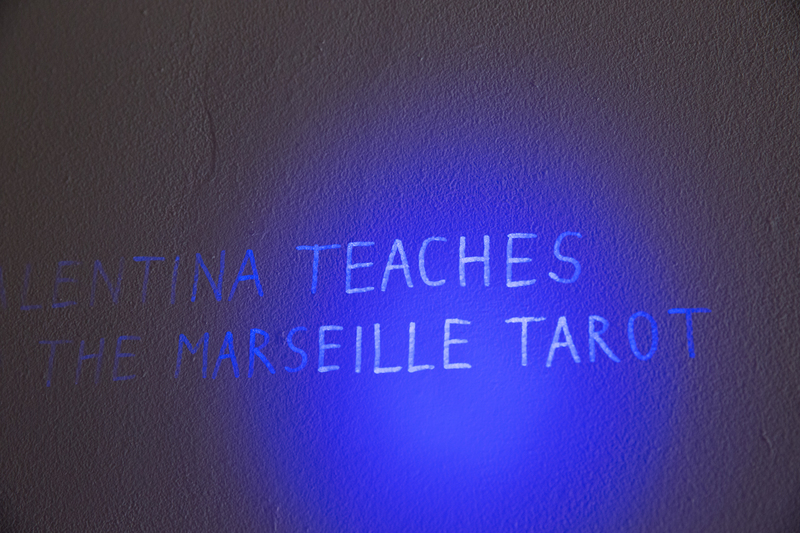 The installation included traces of evidence from other mission landings at points of diversity and high migration throughout human history – inscribed on the windows, written in invisible ink on the walls, or stored in test tubes. Central to the installation was the sonic component. 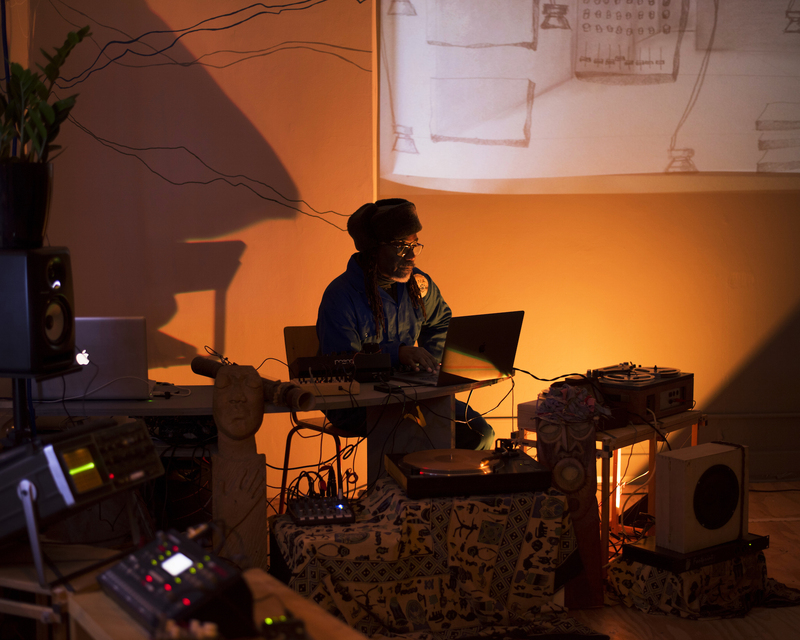 Dubmorphology (two of Mission Misplaced Memory) performed each weekend, mixing sounds from different sources together with the fragments of memory donated, leaving these as a soundscape in the installation. 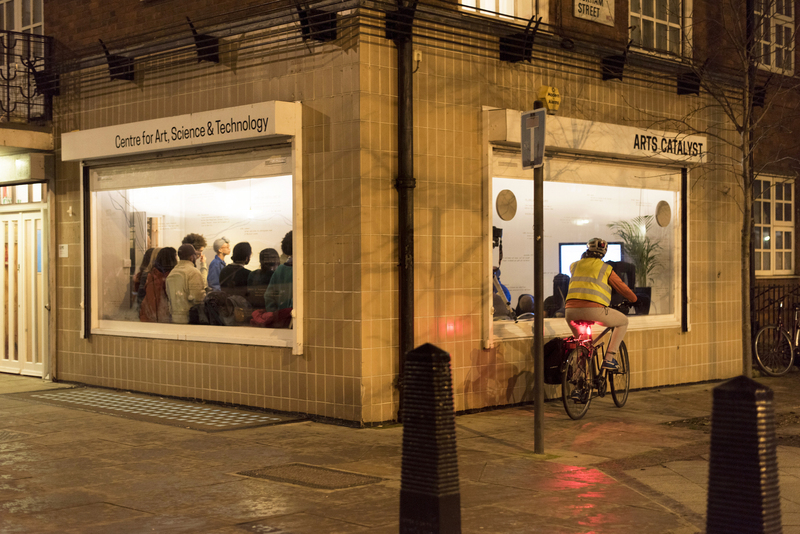 We were warmed by the enthusiasm of those who came into the space to explore the traces and to donate their own migration stories and ancestry memories. Each weekend we invited experts from different fields to help us to explore and unpick many of the issues raised by the project, and we found the audiences for these to be incredibly engaged. 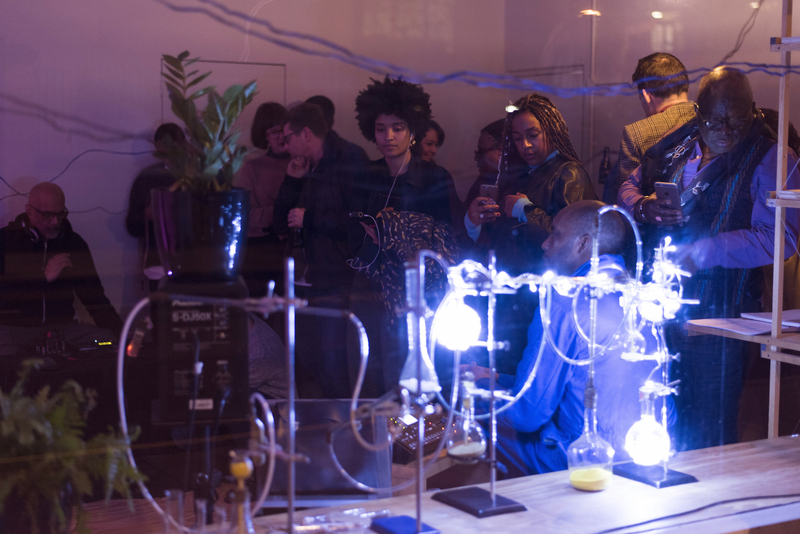 Dreamed Native Ancestry (DNA) ‘s premise was underpinned by research from genetic science and studies into the deep history of migration to give fresh perspectives on race, migration, biopolitics and culture. Much of the following information comes from one of the conversations that took place during the DNA project, with evolutionary geneticist Professor Mark Thomas and writer Gaylene Gould, a re-creation of a meeting the three of us had had in the project’s planning, which had informed some of the narrative. Gary Stewart in the engine room (Mission Misplaced Memory). From a biological or genetic perspective, there is no such thing as race, Mark Thomas told us. Today, scientists can generate large amounts of genetic data from vast numbers of people, both living today and from the past, going back to 60 thousand years ago. They have looked at distribution of patterns to see whether people fall into discrete neat genetic-biological categories and the answer is that they do not. While you can differentiate different groups of people at any scale (e.g. you can tell the people from one village in Yorkshire from another village in Yorkshire), there is no evidence at all that you can categorise people into distinct “races” based on their biology. Of course, our experience today is that people are still being racialized. This is partially enabled because, although only a tiny part of the genetic variation between people is due to differences between continental regions, there are proportionally larger variations in the genes that affect physical appearance (such as skin pigmentation, hair pigmentation, hair morphology, eye pigmentation, etc.). If we could see each other’s genomes, however, we wouldn’t see such differences. Dreamed Native Ancestry (DNA) – memory traces. Photo: Tom Hall. When we look at migration in our deep past, it’s always been there and, of course, it’s an ongoing process. It requires only very small amounts of migration to generate shared ancestry over vast areas very quickly. You have only to go back about 3000 years to find somebody alive who is the common ancestor of every living person in the world today. This is because the number of our ancestors more or less doubles with every generation we go back in the past. By straightforward maths, eventually that number will get bigger than the population size of the time. Clearly we can’t have more ancestors than there were people in the world’s population, which it means that different lines of ancestry join up. There’s a crescendo of meeting up of different ancestries around 3000 years ago. Indeed, if you go back a bit further, to about 4 or 5000 years, at that point every person who was alive is either the ancestor of everybody alive today or the ancestor of nobody alive today. We’re all related – and remarkably recently too. In the broad human evolutionary narrative, homo sapiens is a relatively recent African species. Some sapiens moved out of Africa around 70-80,000 years ago, but there were maybe other earlier migrations and there has always movement between Africa and outside Africa, and inter-breeding with other humans species there before us – Neanderthals and Denisovans. Before farming was invented about 10,000 years ago, everyone was a hunter gatherer and they are by nature mobile because they have to search for food. But even when people settled down as farmers, people were still moving because they were exploring for new lands and so forth. People have always moved around, then to look for food, today for the same reasons – economic migration. Dreamed Native Ancestry (DNA) – donating memories and stories. Photo: Tom Hall. Around 100,000 years ago, there was an explosion in technology. Much better tools were developed, jewellery and musical instruments appear, and most dramatically art. The first art appeared in African around 100,000 years ago, and in Europe around 40,000 years ago and in different places in the world at different times. While some researchers think that the explosions of artistic material culture and technology in our distant past were the result of leaps in human intellect, Mark Thomas believes that they were a consequence of migration and increases in population density. Using computer simulations and archaeological records, he and colleagues at UCL showed that larger populations with more migration make more cultural progress (and, conversely, smaller and more isolated populations can actually lose culture). Population densities – which they estimated using genetics – were similar in sub-Saharan Africa, Europe and the Middle East at those times when radical jumps in technological and cultural complexity took place. It seems that our complex modern culture stems far more from the shared knowledge that we construct in groups than from individual genius. Migration, therefore, is not just a good idea, but pretty much one of the things that makes us human. Dreamed Native Ancestry (DNA) event. The Mission ship in Kings Cross. 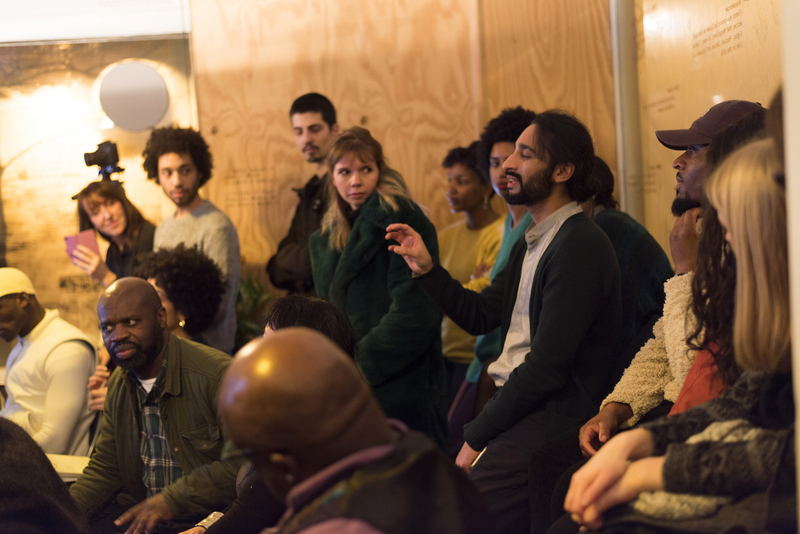 Listen to Becoming Citizens: A conversation with artist Bisan Abu Eisheh and journalist Alex Bookbinder discussing the social and political agency of migration. Join Enacting Conversations Across Generations with Dr Umut Erel and Erene Kaptani to imagine new forms of citizenship for migrants. 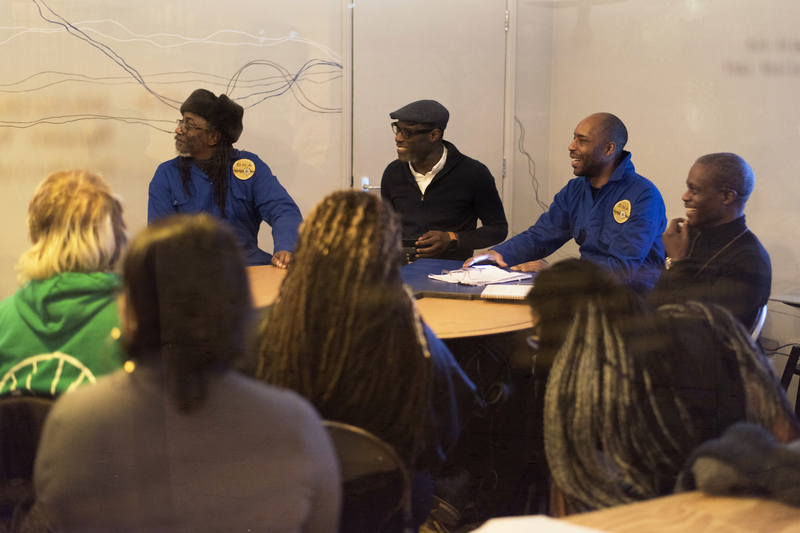 Be informed by Trust Me, I’m an Artist: DNA Ancestry Testing with artists Larry Achiampong and David Blandy as the artists discuss the findings and ethical issues of the multiple Ancestry DNA tests they have taken with a specially convened ethics committee. Discover more about our deep genetic and migratory past in How Culture Evolved: A conversation between evolutionary geneticist Professor Mark Thomas and writer Gaylene Gould. 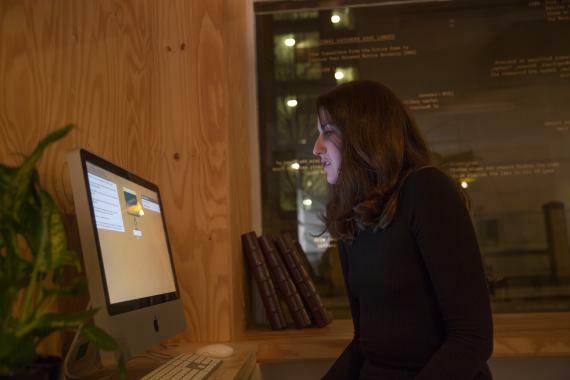 Engage with Shifting Identities in the Biometric Age: A conversation between artist Ayesha Hameed and scholar Btihaj Ajana who discuss the impact and ethical implications of the advance of biometric means of verifying identities. 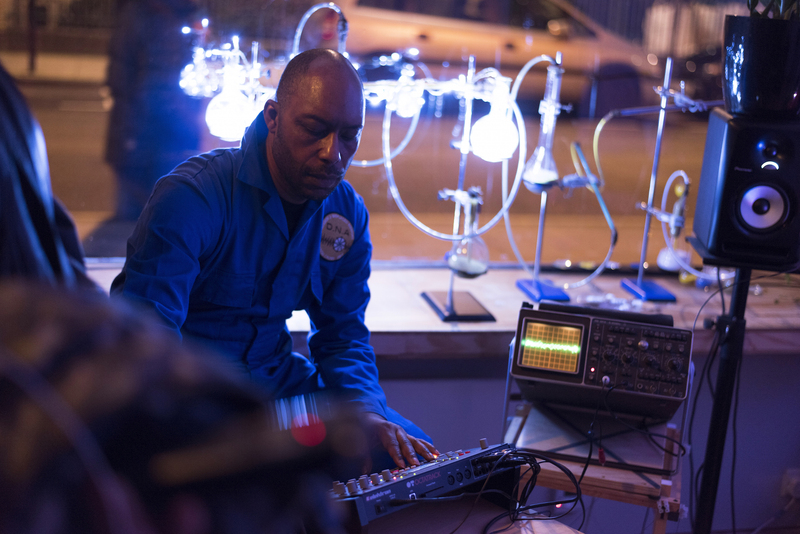 Enjoy a discussion and sonic celebration of migration and the musical contribution of cultural diasporas to British culture in Music and Migration with Dubmorphology, Mykaell Riley, Derek Richards and Aniruddha Das. Dreamed Native Ancestry (DNA) – traces of memory. Photo: Tom Hall. 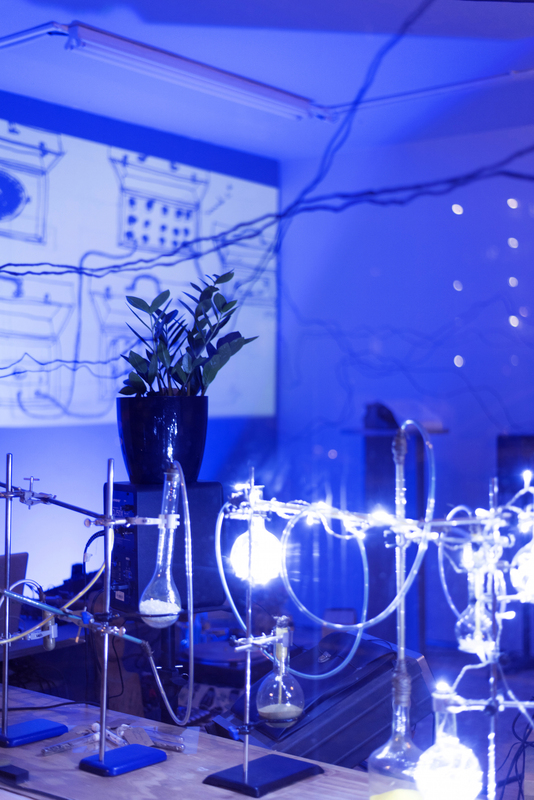 Thanks to all the artists, participants, visitors and contributors to the data bank! Our contributors included the Mission crew (Zaynab Bunsie, Trevor Mathison, Gary Stewart), Gaylene Gould, Barby Asante, Ayesha Hameed, Jacob V Joyce, Larry Achiampong and David Blandy, Professor Bobbie Farsides, Professor Mark Thomas, Bisan Abu Eisheh, Alex Bookbinder, Dr Umut Erel, Erene Kaptani, Ayesha Hameed, Btihaj Ajana, Mykaell Riley, Derek Richards and Aniruddha Das.